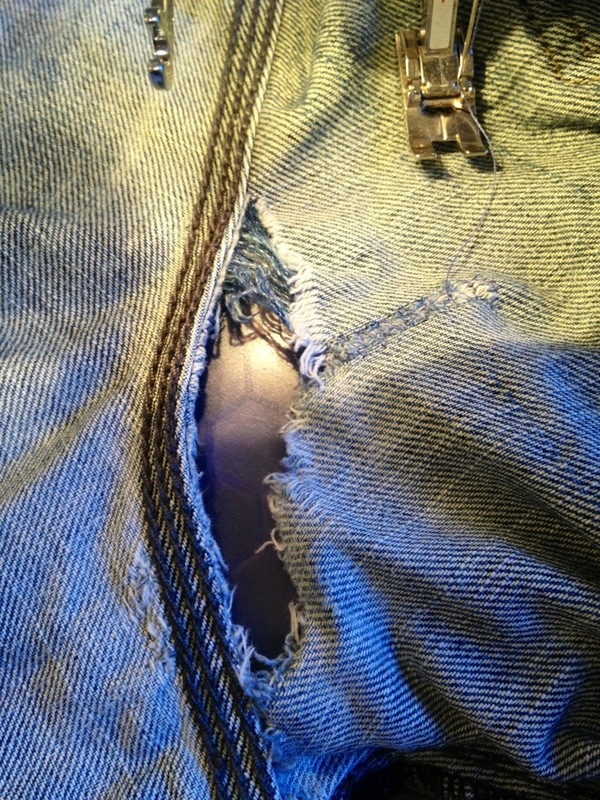 This is a serious case- borderline on fixing such a gigantic, messy tear or recycling the jeans into a picnic blanket. But, since these specific trousers are a favorite pair and the area needing repair isn’t very visible, I’ll give it a shot. **Wash the pants before you begin. What the hole looks like from the inside- not very visible, so definitely still fixable. I will be sewing the hole closed and also using an Iron-On denim repair patch kit (available at any sewing store, or even Walmart). 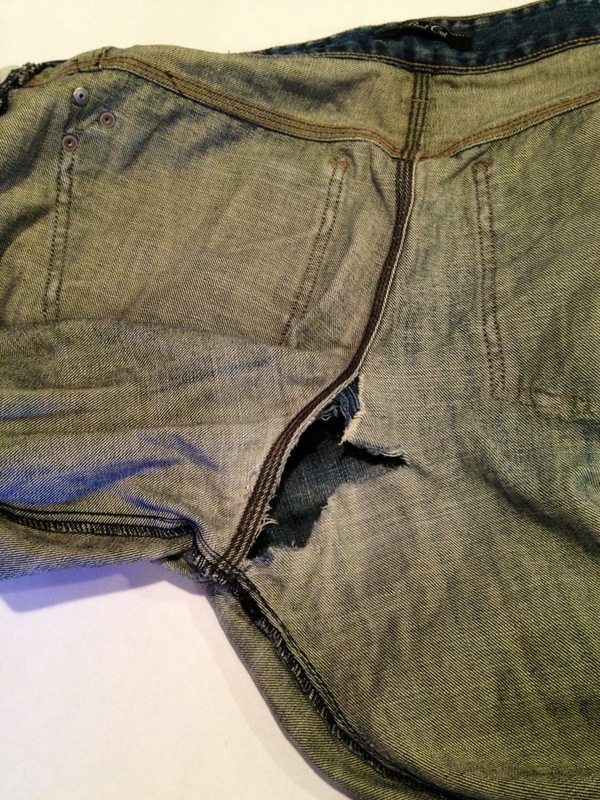 The hole can be fix by only sewing it closed but it will last a lot longer and be worth your trouble if you patch it as well as sew it closed. The label of the Iron-On patch kit, pay attention to these instructions when it come time to iron on the patch to be certain that your patch affixes properly. 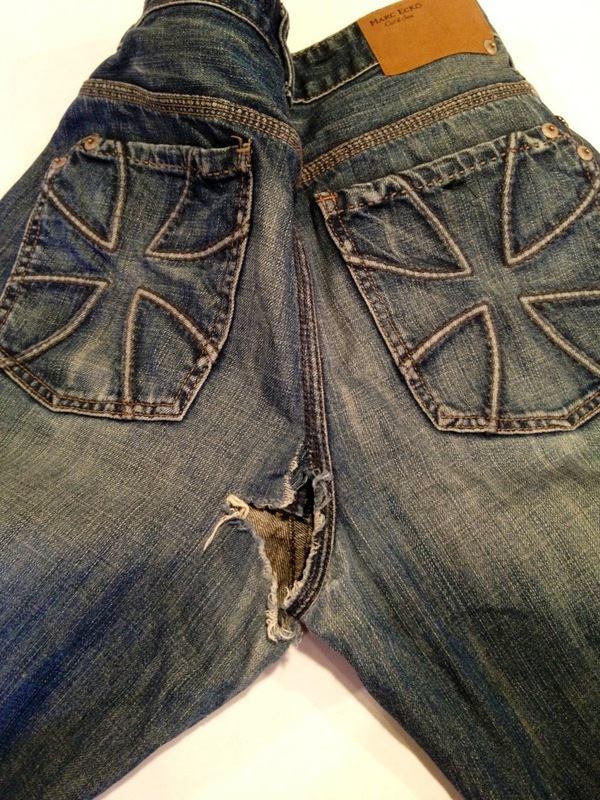 Pick a thread that will match the area of the jeans you are patching. 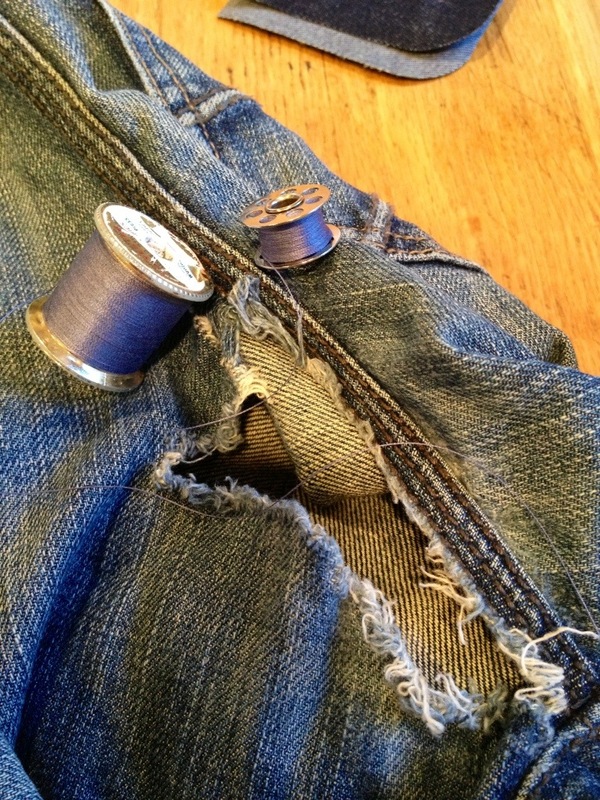 Make sure you use a bobbin of the same color since some of the sewing will be done with the jeans inside out and the bobbin thread will become the top thread. 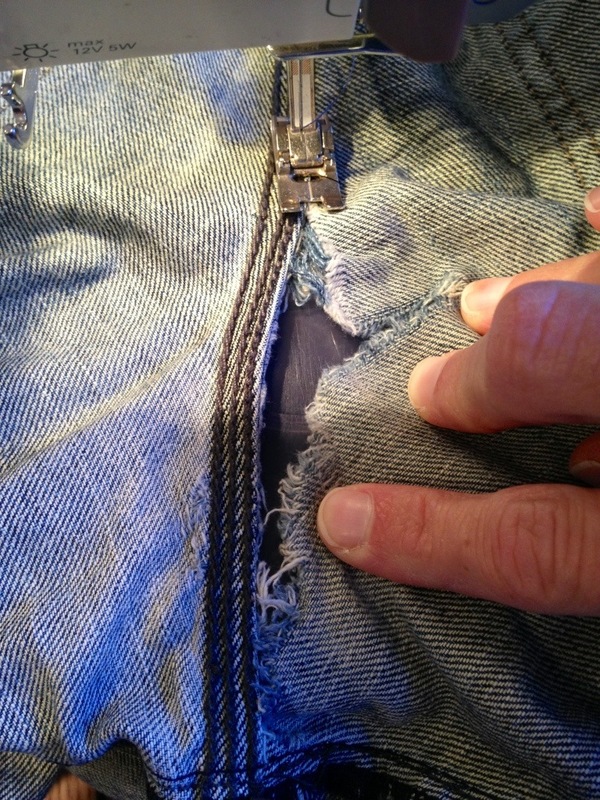 Step 1: With the jeans (pants) inside out, match up the torn edges and with a wide zig-zag stitch on the machine, sew the tear closed. This is just a basic, preliminary stitching just to get the fabric to stay in the right place when the patch is ironed on. 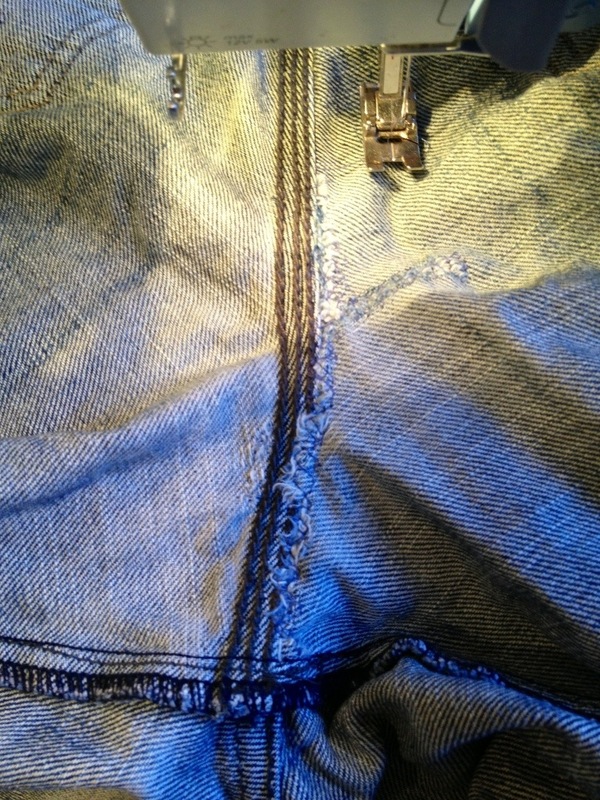 I decided to zig-zag the side tear first, then sew down the ripped center seam area. 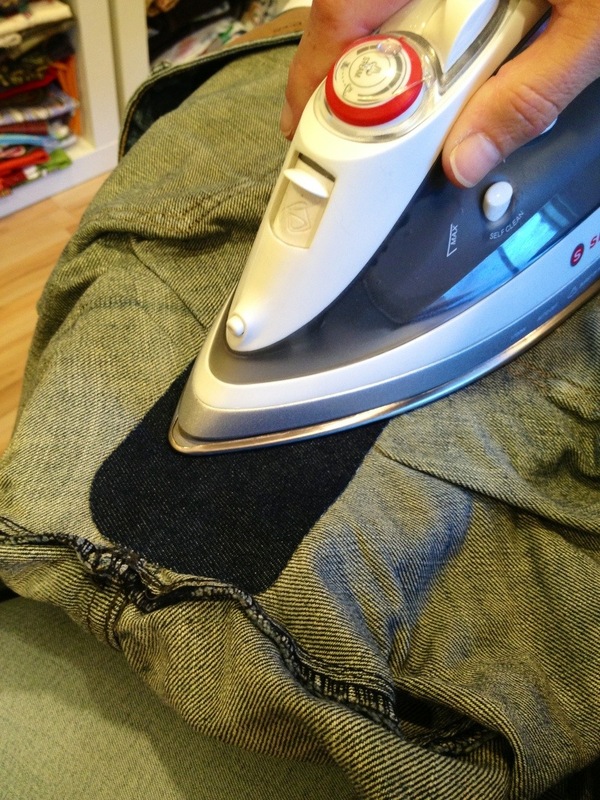 Don’t worry too much if the fabric edges doesn’t match up exactly, denim (and cotton) stretch quite a bit and if you do your best, it will likely look just fine after a washing. All closed, with the widest zig-zag stitch on the machine. Now it’s time to put the patch on. 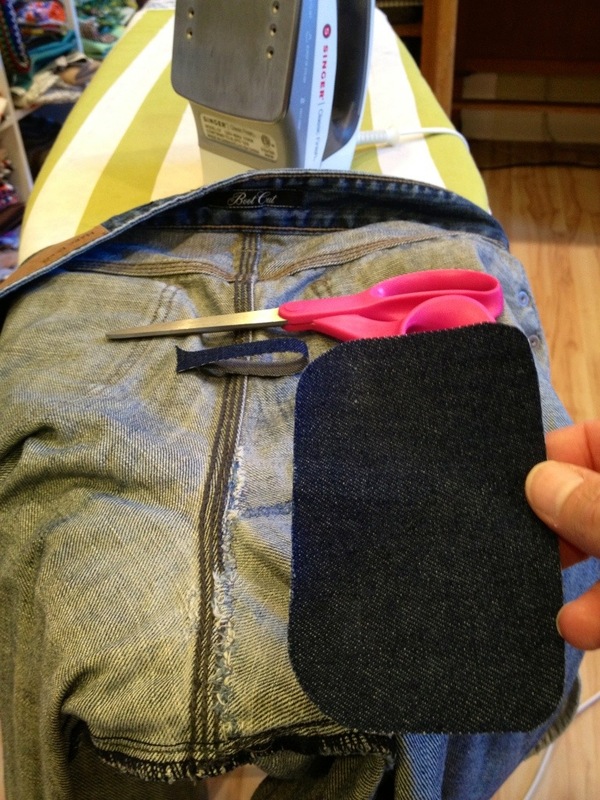 Step 2: Keep the pants inside out and cut out a generous sized iron on patch that will cover the hole (and then some). Round off the edges of the patch. 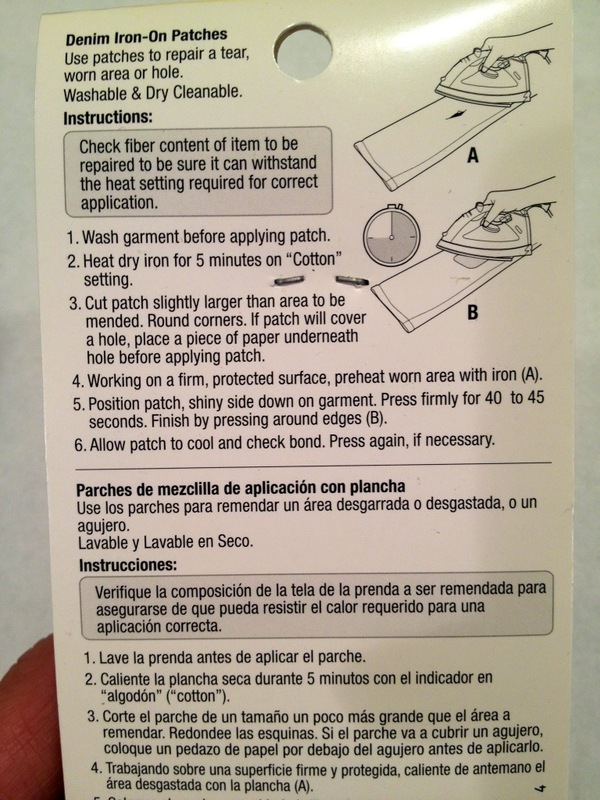 Following the instructions on the package, iron the patch onto the inside of the pants. 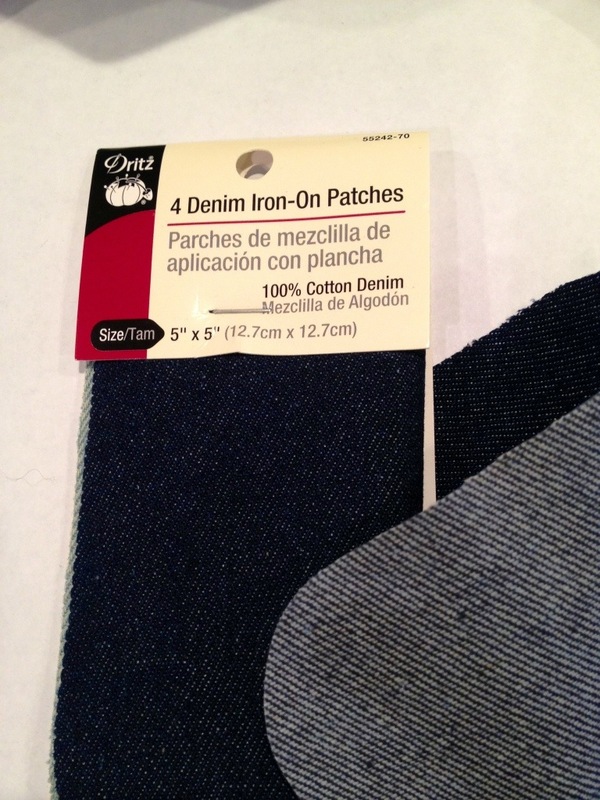 Make sure the fabric below the patch is laying flat and you aren’t ironing in creases that will remain forever. It looks like (in the picture above) there are creases under the patch, but hang in there- it’s just the way I had to pull the fabric to make the fabric under the patch lay flat. 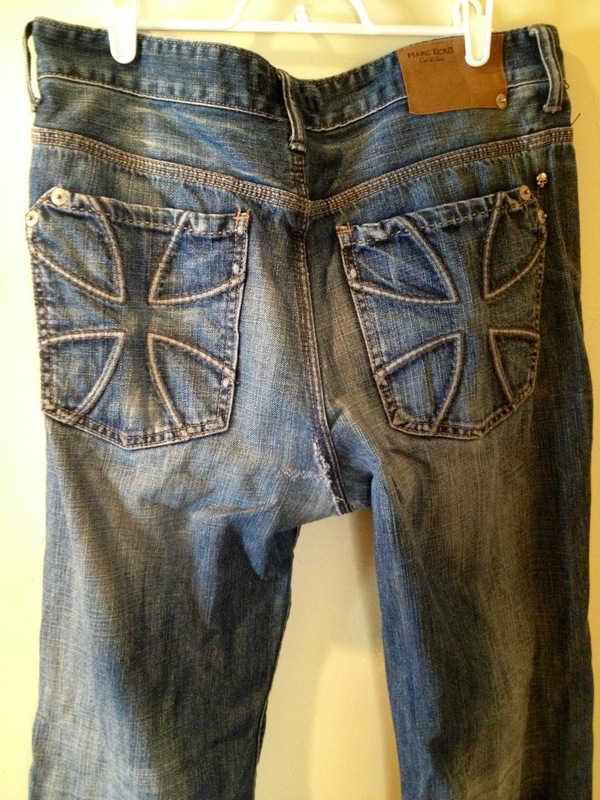 Turn the jeans right side out, and iron on this side too. Trim any loose edge fiber or threads. Step 3: While still right side out, sew over the hole and patch with the wide zig-zag stitch, with a good, careful, reinforcing stitch. 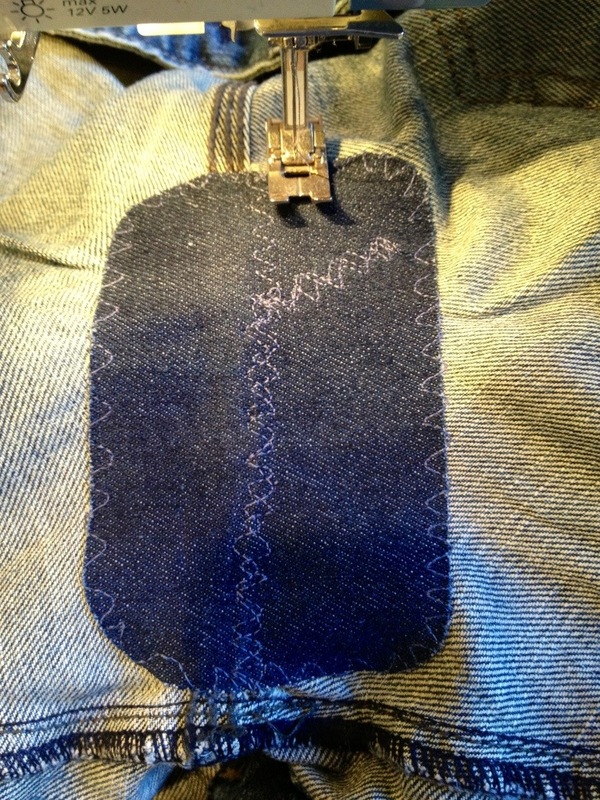 Turn the pants inside out again and the patch should look like this now with the zig-zag stitching from the last step visible. Step 4: Now zig-zag stitch all the way around the edges of the patch. When patching an area of pants that sees a lot of use and abuse (knees, crotch) it’s always a good idea to reinforce the edges because it’s likely the iron on glue won’t hold perfectly. It’s a bit of insurance you’ll be glad to have in place. When you turn the pants right side out again (for the last time) you’ll be pleased you took the time to match sewing machine thread to fabric. 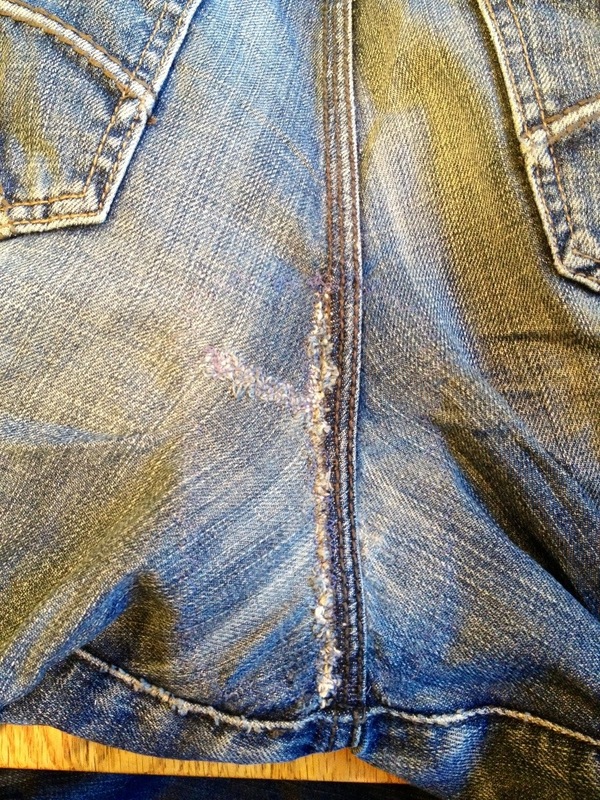 The stitches around the patch, especially on denim, won’t be visible at all. All finished and ready for wearing. The patch may feel a bit stiff the first few wearings but will relax with time and washings. 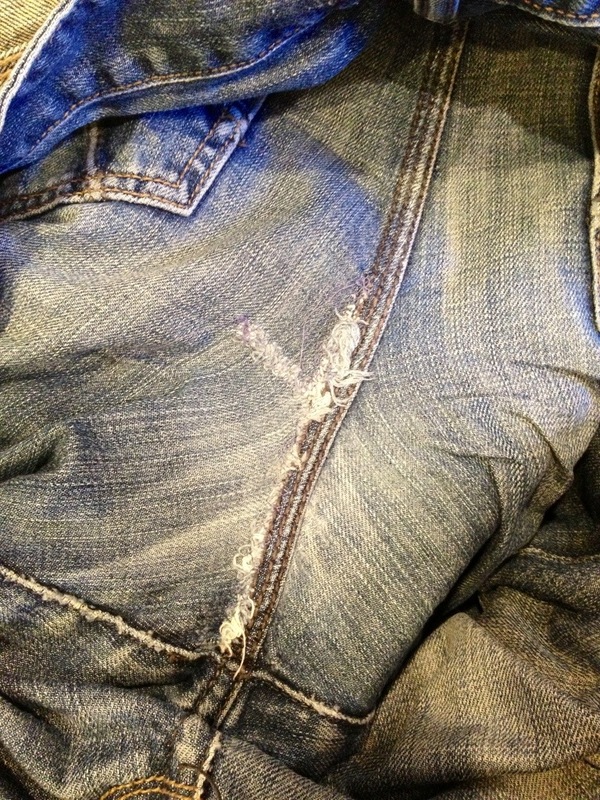 Making it possible for you or your loved one to wear their favorite pair of pants once again… and again.